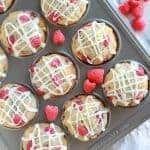 Raspberry Muffins – Tender vanilla muffins studded with fresh raspberries and topped with a vanilla glaze. You guys, I can barely move. I did CrossFit for the first time yesterday, and I am incredibly sore. Although I exercise on a regular basis, I tend to stay within my comfort zone – walking, bike riding, yoga, ellipitical. One of my friends invited me to try CrossFit with her, and I figured I would give it a try. Ugghh. My legs are like noodles. Seriously. I feel pathetic. Maybe shoving another muffin in my face will make me feel better. Yep. That helped. For the record, I would rather sit and eat muffins than run and lift weights. Just sayin’. 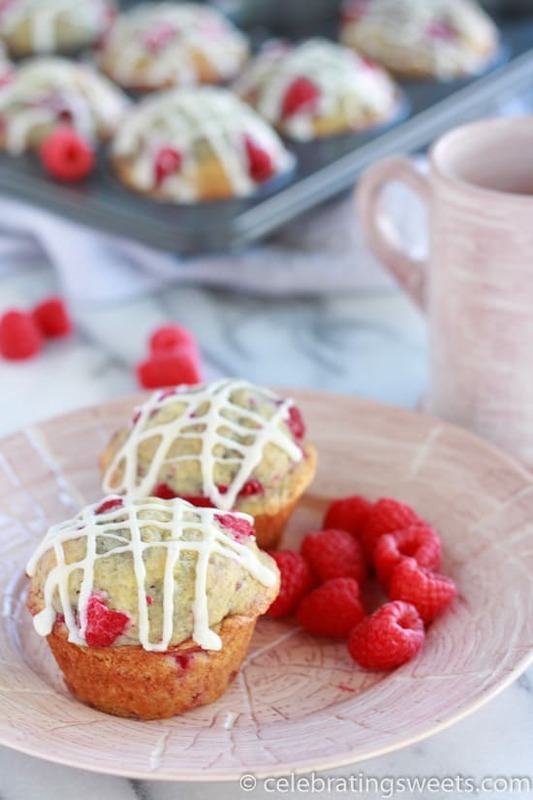 I absolutely love the combination of raspberry and vanilla, and both flavors shine equally in these muffins. 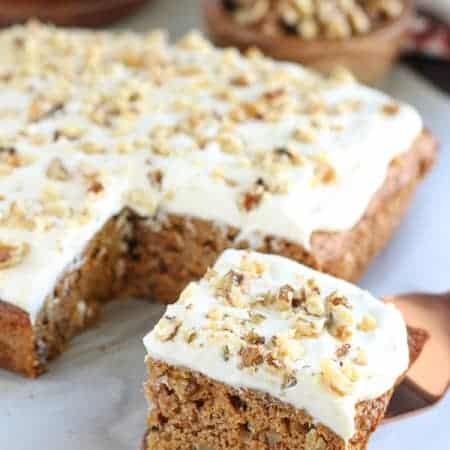 I’m thinking that these would be amazing with a couple of handfuls of white chocolate chips thrown in. Doesn’t that sound great?! 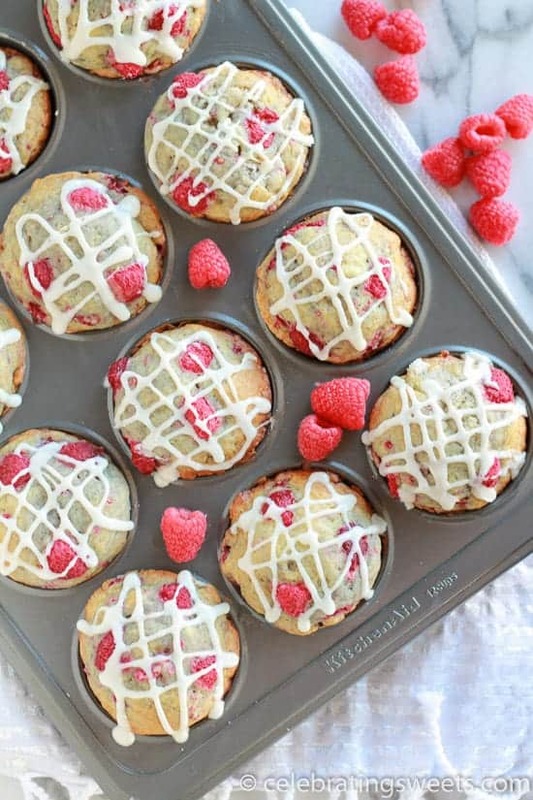 Tender vanilla muffins studded with fresh raspberries and topped with a vanilla glaze. Preheat oven to 350°F. Grease a 12-count muffin tin. 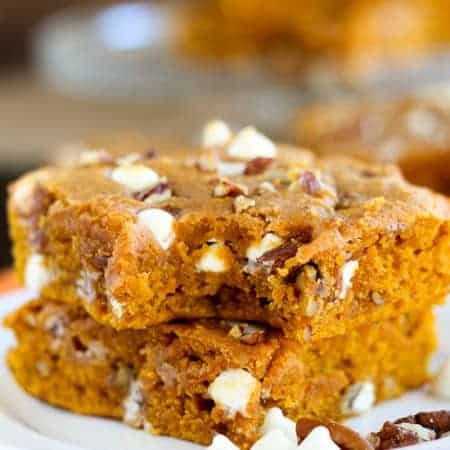 In a large bowl, using an electric mixer, beat butter and sugar for several minutes, until light and creamy. 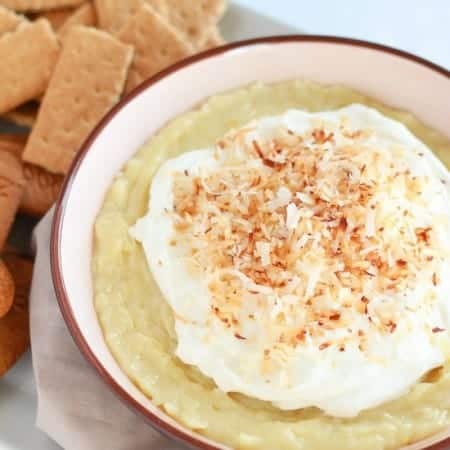 Add eggs and vanilla extract, and beat to combine, scraping the sides of the bowl as necessary. Add yogurt and mix until incorporated. Add the dry ingredients and mix on low until combined (batter will be thick). Gently stir in the raspberries by hand, being careful not to overmix. Divide the batter evenly among 12 muffin cups. 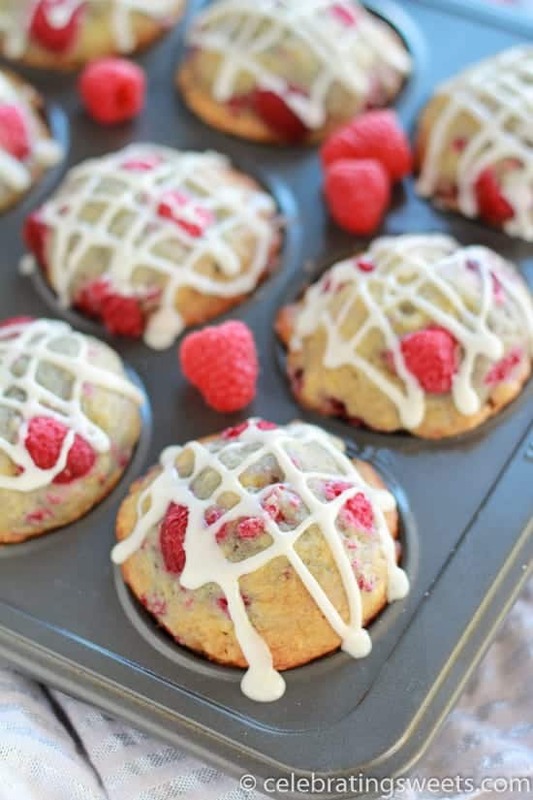 I like to make sure a couple pieces of raspberries are peaking out of the top of each muffin, so that they'll be more visible once the muffins are baked. Bake for 18-20 minutes, until a toothpick inserted into the center comes out clean. Cool for 10 minutes, then place muffins on a wire rack to cool completely. Whisk all ingredients until smooth and creamy. If necessary, add more milk or powdered sugar to thin or thicken to your desired consistency. Drizzle the top of each muffin. These are best within two days of being made. The glaze will start to thin out after the second day (because of the moisture from the raspberries). I suggest only putting the drizzle on the muffins that will be consumed within the first day or two. I’m afraid to do CrossFit because I’ve heard horror stories about people really hurting themselves. I’m injury prone when I run anyways! I give you credit for trying it though. 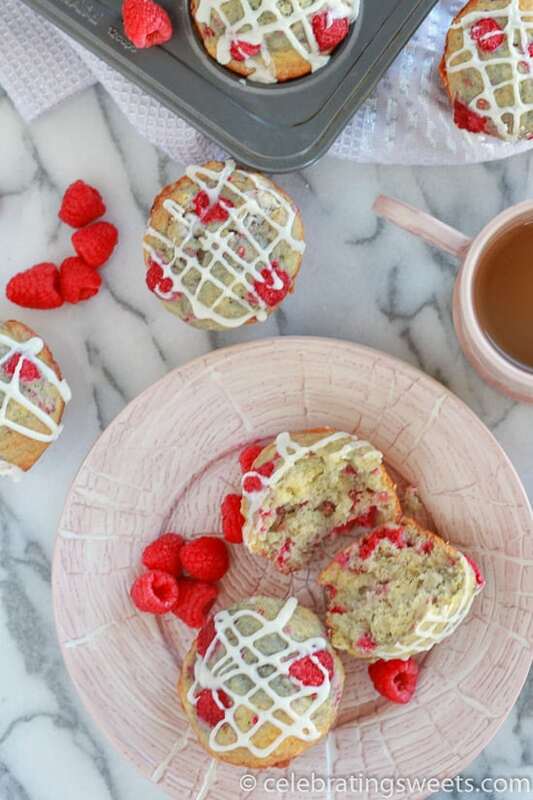 I’d rather eat these muffins and enjoy coffee. 😀 I love your photographs. They’re beautiful. These came out good. I like the flavors together.